PDF, MS Office Files, Videos, Images, Audio, and HTML5 Smart Docs are all instantly available with distributed sales teams. Once sync’d, everything is fully available offline, and always current with corporate standards. Client Admins can organize their content to suit their own sales team structure. By Region, Client, Territory or other divisions – the platform works with your needs and delivers the result immediately and individually to each sales rep. Designed with performance, security, and privacy in mind. Secure each asset as needed – by sales rep, limit printing, editing and sharing. Application designed to avoid upgrade disruptions. Measure all assets, app users, and content organizations, as needed. Manage which documents need updates, and identify documents underutilized. Provide HTML5 Smart Docs to accelerate closing contracts from the field through the iPad. 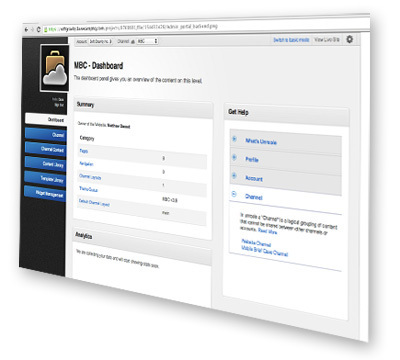 Manage and push all content and user accounts to the field in real time. Bulk upload and edit content structure, as needed. Your end users (Field Training, Sales Reps or Executives) need only minutes to be fully armed and operational, using an organization's content assets.